My week has gone by in a flash. I’ve signed off on my pamphlet, ‘The Misplaced House’, and I’m waiting for Gareth Lewis at tall-lighthouse to tell me that it’s come back from the printer’s. The launch will be at The Poetry Café, Betterton Street, Covent Garden, London WC2H 9BX on Monday, 8th December at 7.30pm. 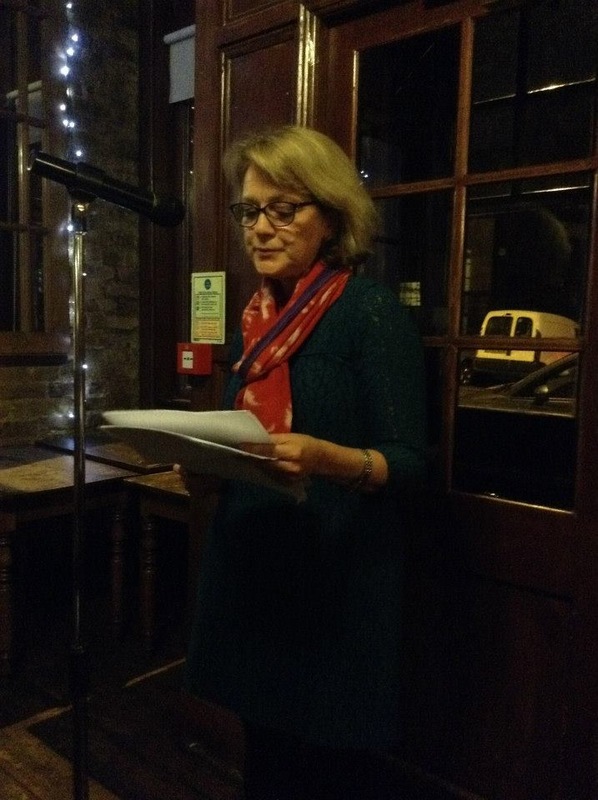 On Thursday I read at Richard Skinner’s reading series, Vanguard, at the Bear pub in Camberwell, London SE5. It was fab to see Robin Houghton again and she wrote a great blog post about the evening which you can read here. I loved hearing the other poets read but I was especially pleased to discover Josephine Dickinson’s poems, the one poet of the evening whose work I wasn’t familiar with. Here is her poem ‘Breathing’ about caring for her late husband, Douglas. Josephine has been deaf since she was six years old and her descriptions of experiencing sound through her hearing aid – and now a cochlear implant – are startling and beautiful. As I sit in another room you are swishing your lips. and whistle of your chest. My body is your world under a blanket of snow. If you don’t already know her work, seek her out. And it was so pleasing to hear Richard thank ‘The Josephines’ for reading. I think we would make a splendid cabaret act! I’d really recommend the Vanguard Reading Series, by the way, if you live or are in easy reach of Camberwell and you enjoy listening to live literature in a spacious, friendly, well-stocked pub with a welcoming and well-organised host. Here’s a link to their Facebook page where you can find details of the monthly readings and they are also on Twitter. It was a thoroughly enjoyable evening, made nicer by meeting writers Hilaire and Clarissa Aykroyd, two friends I’ve made through social media and blogging. Clarissa keeps the excellent poetry site ‘The Stone and the Star’ and Hilaire told me about a new poetry project she and Joolz Sparkes have created, ‘London Undercurrents’, which aims to “unearth the voices of strong, feisty women who have lived and worked in the capital city over many centuries. Each poet focuses on her different patch of London – Joolz north of the river and Hilaire, south – bringing to life the imagined, real, everyday and extraordinary women whose untold stories lie just beneath the surface”. You can read their first blog post about the project here. I’d meant to tell you about my first ever visit to The Poetry Library on the Southbank but I’ll have to save that for another post as I’ve run out of time. Hope you all have a wonderful week. Here’s a picture of me reading at Vanguard. Josephine Corcoran reading at Vanguard. Photo courtesy of Richard Skinner.